This section provides space for developing further ‘community conversations’ about teaching. It includes group discussions; longer interviews; interviews that cover more than one issue or topic; and links to resources located elsewhere. 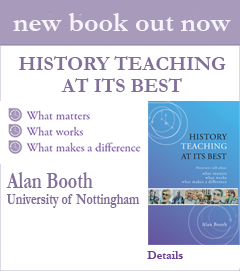 It therefore extends the conversation about teaching and offers opportunities to those involved in teaching history in higher education to enlarge it further.